Disclosure: I was not compensated for sharing this post. The Sponsor (RECARO) is responsible for prize fulfillment. Links contain affiliate links. For more than 100 years, RECARO has been manufacturing high quality, innovative, durable seating of all kinds including aircraft seats, automotive seats, stadium seats, children’s car seats, and seats for special fields of operation. 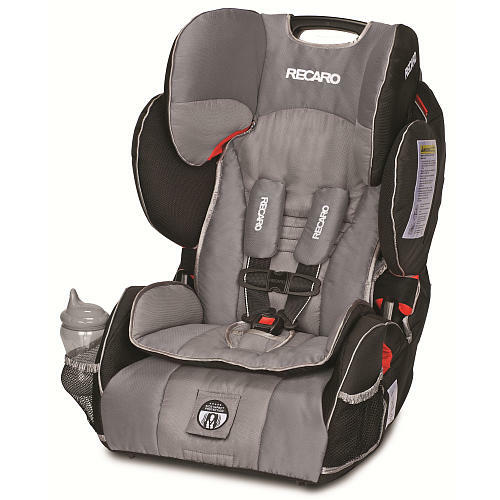 You can purchase one of RECARO’s top-of-the-line car seats via various local and online retailers including Babies R Us or Amazon.com . Mesh Pockets. Two mesh pockets on either side are provided to hold cups, snacks, or toys that are easily within reach. Safety Stripe System. This one-of-a-kind racing-inspired white stripe, clearly visible on the outside edge of the 5-point harness, alerts parents to improper harness alignment. CoolMesh Air Ventilation. Four zones of luxurious, temperature balancing fabrics to prevent child from sweating. EasyAdjust 5-Point Harness. Whether in Harness or Booster mode, each belt guide is color-coded so you can easily identify the proper belt path and positioning of either the LATCH strap or vehicle seat belt. Side Impact Protection. 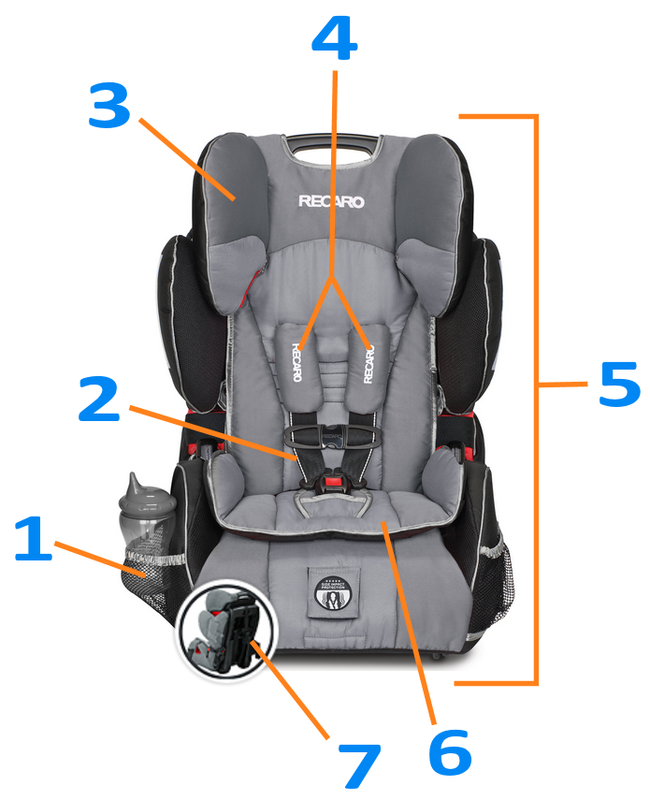 RECARO’s Side Impact Protection is designed to distinctly protect 5 vulnerable areas of a child in a side impact collision–their head, neck, face, torso, and pelvis. SoftTouch Seat Cushion. Memory foam cushion in the seat of the Performance SPORT ensures a comfortable ride. ErgoShell Structure. The shell is designed to offer child occupants the comfort qualities RECARO seats are known throughout the world for. This giveaway brought to you via Measuring Flower Events. I like the Side-Impact protection feature and I also love the Soft Headrest – it is great for long trips!